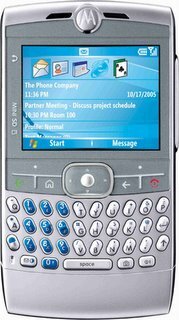 Boston Herald has reviewed this pda from Motorola, the Motorola Q.
Physically, the Q has a lot going for it. It’s thin and light enough to be only slightly uncomfortable carried in a shirt pocket, unlike the heavier Treo. 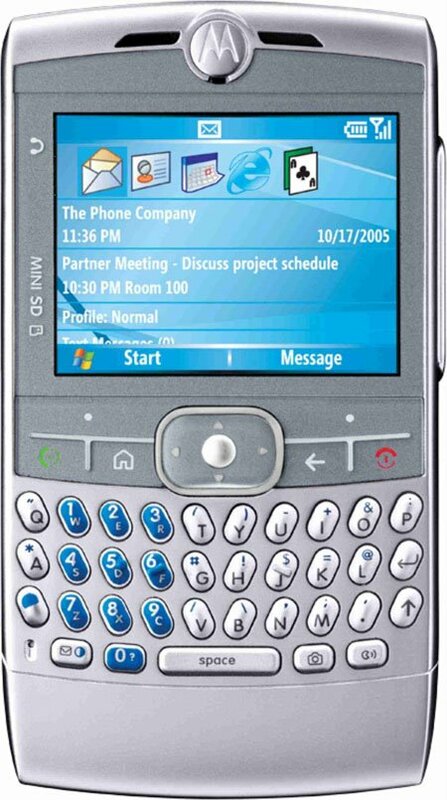 At the same time, the Q is wider than a Treo (though not quite as wide as some BlackBerries), providing the space for a QWERTY keyboard with comfortably spaced keys.